HANOVER, Maryland (WABC) -- The FBI has added a man wanted in his wife's stabbing death at the Dunkin' Donuts shop where they worked to its "Most Wanted" list. 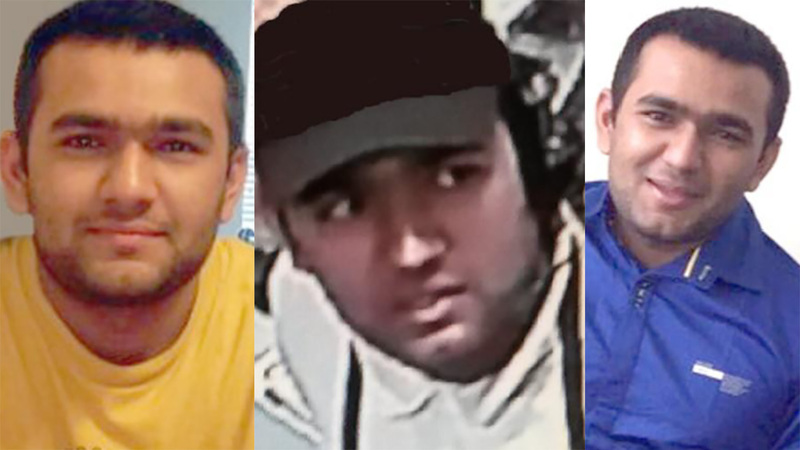 The FBI announced Tuesday that 26-year-old Bhadreshkumar Patel is now one of its "Ten Most Wanted Fugitives," with a reward of up to $100,000 for information leading to his arrest. Patel is charged with murder in the 2015 slaying of 21-year-old Palak Patel, in a back room of the shop in Hanover, Maryland. He was last seen in New Jersey, taking a hotel shuttle to Newark Penn Station. Investigators theorize that Palak Patel wanted to return to India, but her husband didn't. They believe he could be with relatives in the United States or that he fled to Canada or India. Patel was in the United States legally, but his VISA expired in March 2015. The investigation revealed that Bhadreshkumar Patel hit his wife multiple times with an object, then fled, police said. He has been charged with murder, assault and a weapons offense. Anyone with information about Patel is asked to call 1-800-CALL-FBI.